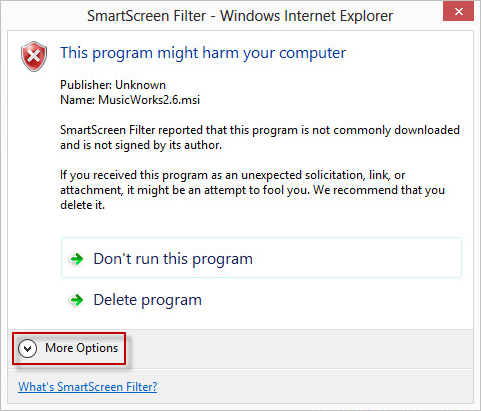 Microsoft have integrated the SmartScreen filter in Windows 8 to protect against malicious software or programs - especially those downloaded from the Internet. 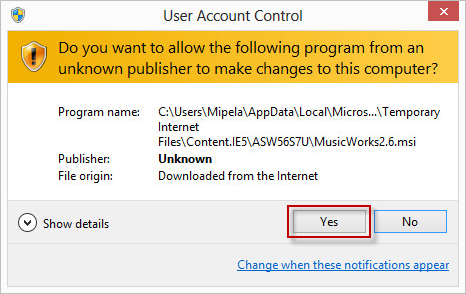 Unfortunately, when enabled, it can make it very difficult for users to install legitimate applications. Firstly, ensure you're using the Desktop interface. If you're seeing the tiled 'modern' interface, click on the 'Desktop' tile to go to your classic Windows Desktop. Assuming you're using Internet Explorer as your web browser, download the MusicWorks 4 installation from the tierramedia web site. You can either save the file and run it manually by clicking on 'Save', or run it immediately by clicking on 'Run'. If you see the following message, click on 'Actions'. Next click on 'More Options'. 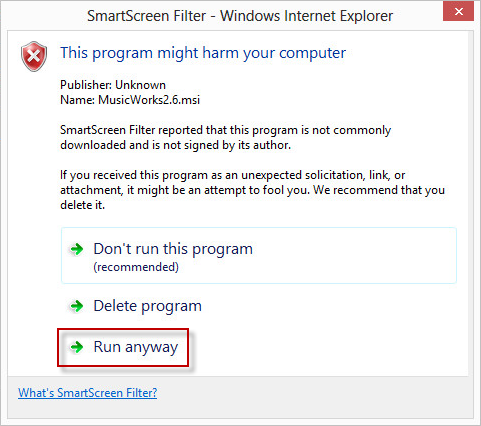 Then click on 'Run anyway'. The installation should now complete normally.